I think the main thing is that maintenance and contact are linked. Once the lawyers and the politicians get this through their thick skulls and act accordingly then I won't go on about it. If you want money for maintenance from me, then allow me to see my children. Alternatively, don't enable contact and don't expect maintenance. Expecting to have it both ways, really gets on my nerves and will continue to do so. These things matter, until politicians realise this then they won't get my goat and I will go on and on and on about it. Because it is not fair. As the Manic Street Preechers say (not sure who said it originally), "If You Tollerate this, then your children will be next". I don't want my children to suffer at the hands of the FemiNazis (inc. Judge Judy) as I have and continue to. until politicians realise this then they won't get my vote and I will go on and on and on about it as they really get my goat. Anyway, thik you catch the point, I (don't think I am the only one) am very angry and continue to be about being treated in this appauling manner. Thank you, David, for repeating the same arguments you've put forward here so many times before. Don't worry John, not just here, many other places also. Wish it was a pleasure, but thanks for the space. Why can't judges award 50/50 residencies as a default when granting a divorce, unless there are grounds to preclude such a decision. 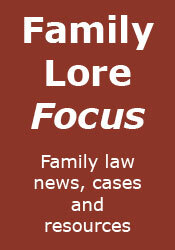 The only beneficiaries of the present system of fathers having to apply to the Courts, sometimes several times, for contact with their children are lawyers and solicitors. There are arguments against it. See, for example, the interim report of the Family Justice Review, and the report published last week by Gingerbread. ...oh, and I think you'll find that most of the lawyers spend most of their time trying to resolve disputes. Phil Jupitus could do with shedding a few pounds too, but I can see the resemblance. Bellingham grasped the issues and spoke a lot of sense, probably why he is sitting on the backbenches now as family law is political suicide. I like you Melvin. You speak a lot of sense and yes, I thought it was Phil Jupitas at first also. I like your last paragraph especially. Yes, Bellingham was right, it's a pity the Tories campaigned saying they would implement then didn't. Bit like the Lib Dems on tuition fees or the labour people on a referendum on Europe, no more boom and bust, enforceable contact orders, fairer taxes, etc. Politicians heh! Think I have some on my shoe. Sorry, but I'm not sure what that link has got to do with this post. You asked who Phill Jupitus was. Ah, I see. Still don't know what Phil Jupitus has to do with this post. By 'debate' I think I meant engaging with the issues rather than just trying to trivialise them by posting photos of Phil Jupitus or presenting an opinion - against a presumption of shared residence, for example - and fancifully calling it an argument. The Family Justice Review makes no attempt to argue against a presumption, it simply presents its opinion (buried in the back at annex P) along with some research papers which happen to agree with that opinion. It omits entirely any research which supports a presumption of shared residence - and there is plenty, including important meta-analyses such as those by Robert Bauserman or Linda Nielsen. This casts considerable doubt either on the FJR panel's competence and expertise, or on its independence. The Gingerbread report plays the same trick, citing work by the feminist Liz Trinder but ignoring Bauserman and Nielsen. And I might add that David Cameron, Nick Clegg and Jonathan Djanogly (and 259 other MPs) signed up to a legal presumption of equal contact when they signed EDM 128. If the fathers' rights movement is so wrong - on this and on other matters - why does no one actually attempt to argue that, rather than just pour scorn on the movement and misrepresent the evidence? Bellingham grasped the issues because it had happened to his own brother, and he saw his nephew turn from an academic boy with huge potential into a school dropout with ruined aspirations. He understood on a personal level as well as the intellectual one. It really does seem that it is impossible for people to understand unless it happens to them or to someone very close. It is otherwise just too impossible to believe that an advanced western democracy would tear itself apart by adopting policies and harbouring a justice system which have the combined effect of destroying society's fundamental building block - the nuclear family. Until someone actually proves them wrong I am sure (and I hope) that David and Melvin will continue to repeat their arguments here and elsewhere - and no one will prove them wrong, because they are correct. I wish they weren't. Well, you posted his photograh for it. The displayed image even has jupitus in the url John, the same image comes high in google image searches for him, strangely not for O'Con yet. Still, the denials are a tad amusing, maybe that demonstrates how convincing an advocate you perhaps were when you were practising. Look people, let's get one thing clear: the picture is of Matt O'Connor. 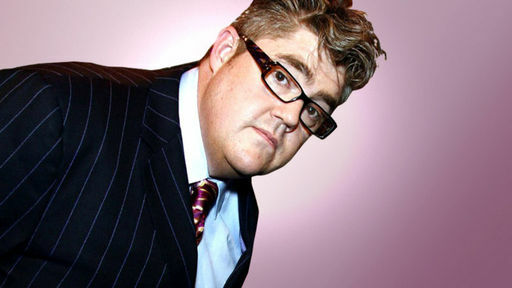 However, I admit there is a striking resemblance to Phil Jupitus. Has anyone ever seen the two of them in the same room together? There is little doubt that thousands of innocent children are being denied their Right to have a meaningful relationship with both parents (notwithstanding Sir Nicholas Wall's fascination with Skype). Fathers respond to the problem in different ways. The F4J hunger strike is one. Another is to pick up a pen and write; one letter after another, until the Court of Appeal responds. See www.relocationcampaign.co.uk for one such father. And see Re K for the result. Fancy a weekend break at Buckingham Palace 24/25th September, John. The company will be good but I am not too sure about the food.